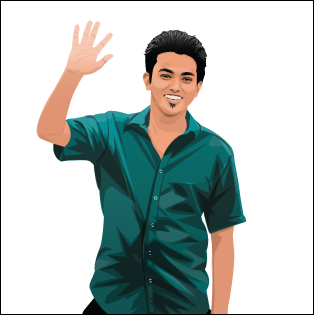 ​I read about event blogging first time from my friend Imran's Uddin's post. He made a blog on happy new year 2014 and got huge success. As the time passes, I've seen much more event blogs, and even I tried myself. My blog on happy new year 2016 got a huge success that time. Nowadays there are a lot of competition here. It is like a fast money machine to newbies as well as for pro bloggers. But you know google's primary target is to help visitors, to save their valuable time by displaying most relevant data in most user-friendly ways. Here are some examples. 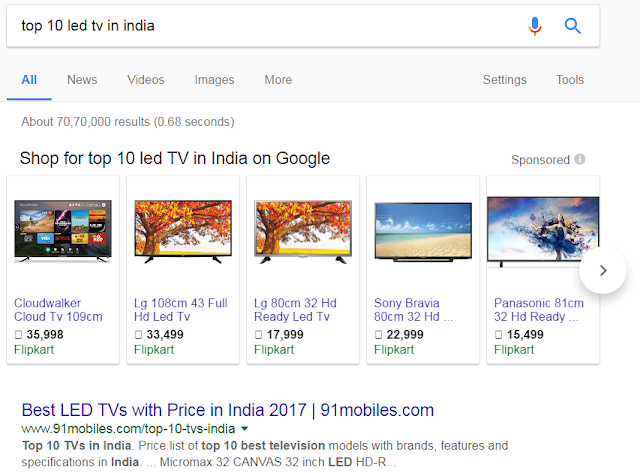 Like you are searching for top 10 led TV in India. Google shows their result in this ways. That was not displayed before. You have to click each site to get the information. And this case, google shows most authentic data in a snippet from their database with that site URL. Definitely those sites will take a significant advantage. Same for lyrics blog. If you are going to search a song lyrics- suppose "Sorry" by Justin Bieber. You will get the full lyrics on the search page. So the lyrics blogs are losing huge traffic every day because nobody needs to open their site when the get that directly in search results. Now they targeted for quotes. 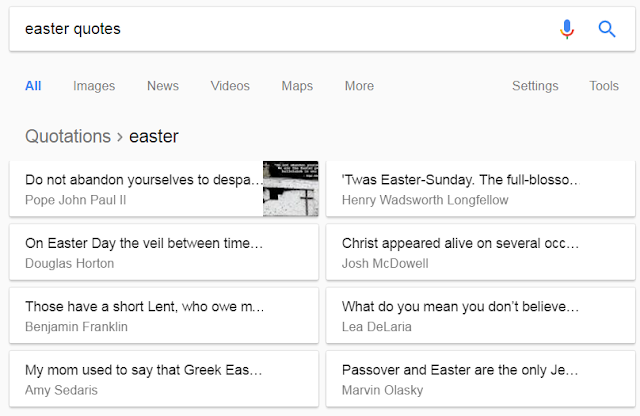 If you find quotes like Easter quotes you will see some snippets there. When you click one of them, you will get a SERP (Search Engine Result Page). So is what's the way for quote bloggers? Well, you can do one thing. Like target those quotes which are appearing in snippets. Try to rank them instead of trying to rank a new quote. If you think about event blogger 's perspective, this is very sad incident for them. But google's main mission is being user-friendly. So according to their perspective, they are doing the magnificent job. Even you can see much more like this. 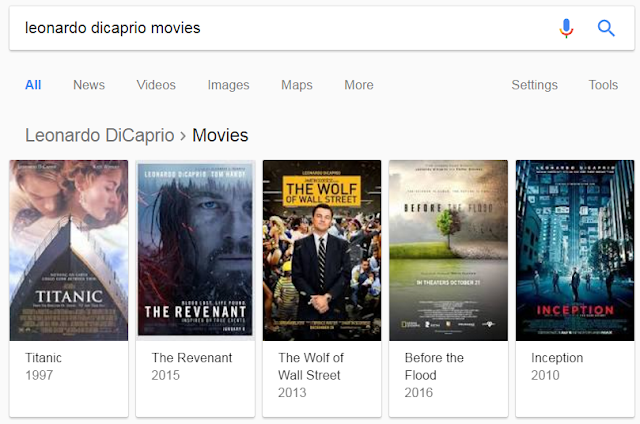 Just like search Leonardo DiCaprio movies. You will see them all on the top of search page. 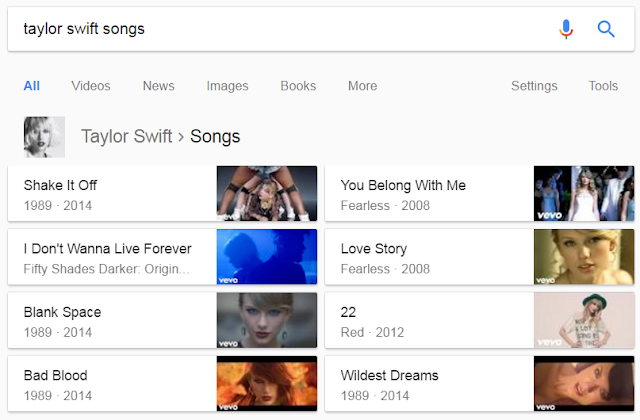 Search for Taylor Swift songs; you will get the same result. 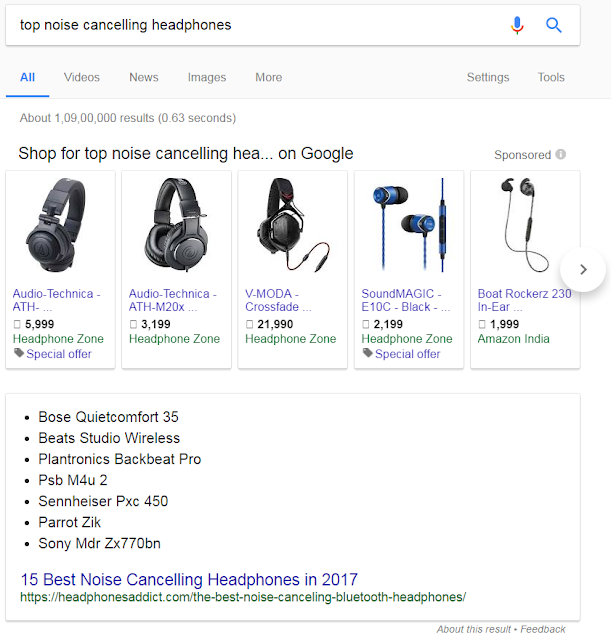 In many google searches, they show the answer with the site link. It seems like they are sorting out the best available answer in their database and provide us to save our time. Cause you should always remember one thing. Internet users are busy; they don't have enough time to read the full post maximum times. So just show them the main informational part. In the last post, I wrote about Facebook live on the desktop. Facebook is growing tremendously. They're adding features one after another. Live video, six types of reaction, hashtag, Facebook instant articles, video chat from messenger and much more. I must say Zuckerberg is really a mastermind. Apart from his extraordinary coding skills, he has Crystal clear concept of how to spread and grow the business to acquisition the internet market. In you see and analyse his every step, you will get a brief idea about his entrepreneurial journey. He made first Facebook, made it popular among college students to connect each other through the web. They looked for monetization plan. Zuckerberg did not agree to use any advertising banner on Facebook. It seems irritating to visitors. Then started showing the ad on right column like this. And then they invented many ways to advertise. Advertising on news feed, which is better known as sponsored post. Recently heard that they are even going to monetize live video by displaying ad like youtube. Anyway, Zuckerberg bought Instagram for $1 billion. As you know people had (or still have)a great tendency to upload their image to Instagram. That may down Facebook popularity. Same for WhatsApp. People were using WhatsApp for messaging more than the messenger. Maybe they are lagging behind in the competition. Zuckerberg simply took no risk and bought those. They bought WhatsApp for $19 billion. Zuckerberg 's visionary entrepreneurship is simply mind blowing. Suddenly I came across that BingAds is shown on Yahoo too. But I've seen Adchoices ad (AdSense ad) in Yahoo. So it's utterly confusing. Though we know, media.net is a joint ad network by yahoo and bing both. I tried several times to get approved from media.net, but they rejected me every time. The reason is simple. I had very few us traffic. My 90 percent traffic were Indian traffic. This is just opposite to media.net's requirements. Media.net ads look more natural. Now I'm an iPhone 6s owner. :P I have no plan to upgrade my mobile right now until my brainwashing partner doing his job perfectly. Anyway if you have any question related to event blogging, you can ask me here. One more thing, if you want to rank your event blog on the first page. I will suggest you two options. Use PBN links with high Domain Authority, Page Authority, Trust Flow, Citation Flow. The second one is, go for SSL certificate. Though PBN users have gotten a big lesson (including me) after releasing Fred. I will suggest you use PBN for event blogging. When they penalise you, meanwhile you will bank $$$$ from your blog. Then the blog may get penalized. So? Who cares? Anyway, take care.